Microsoft has just announced a new pair of wireless headphones to go with the recently revealed Surface 6. Dubbed Surface Headphones, they rely on Cortana to appeal to consumers, as well as some noise-cancelling technology. Microsoft's premium headphones come with a dial on the right side, which can be used to adjusts volume. It also includes an option that allows users to adjust the level of noise cancellation. As the name suggests, they offer “Hey Cortana” support for hands-free voice commands. 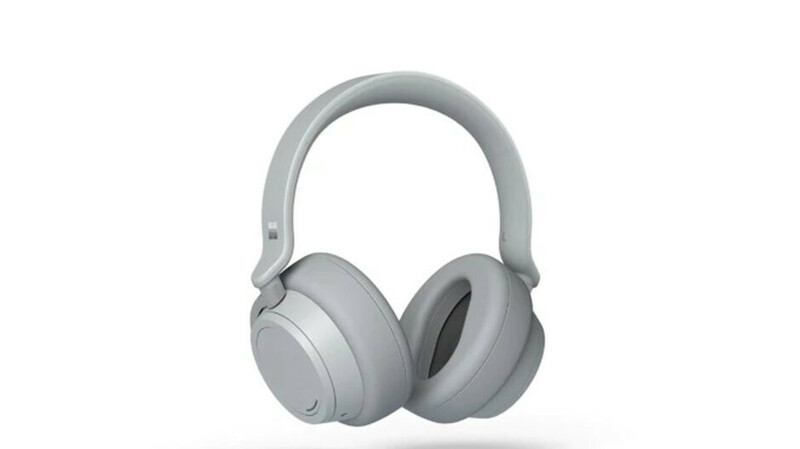 Just like other more expensive headphones, the Surface Headphones will automatically stop playing music or video when they are removed from your ears. Also, Microsoft's new wireless headphones feature touch controls on the ear cups, which allow users to pause, play and skip tracks. As far as the battery life goes, the technical sheet says the headphones charge in less than 2 hours and should provide up to 15 hours of music playback over Bluetooth or up to 50 hours when plugged in. I like em but at more than twice the price of airpods this will probably struggle. Yeah, they should have priced them 100 dollars less. Nothing can compete with the bose qc35 and sony wh-1000xm3 at the moment. I'm interested. Everyone has Bose, Sony or Beats. I'm curious to see what other manufacturers bring to the table. This has a unique design, control interface and Cortana (believe it or not, I still use her). Yeah, I'll try them. If it also harnesses Alexa it would be quite interesting.